Grymvald Gazetteer: Flora & Fauna Friday - Gator or Croc? 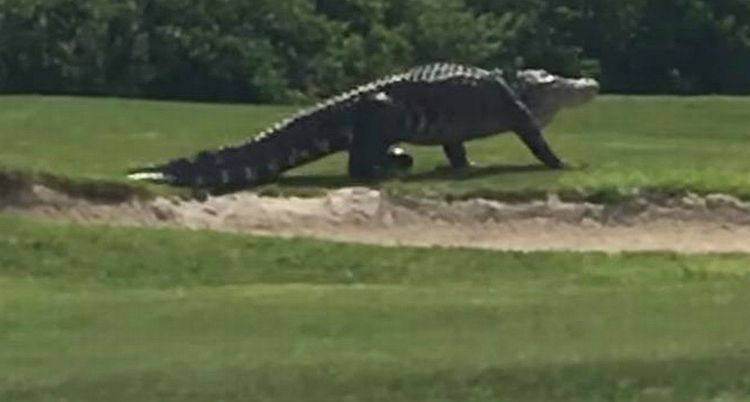 Is it time to play Gator or Croc? 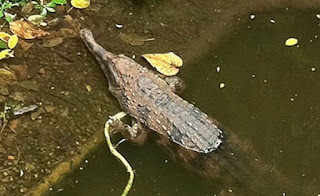 Over on lazy-lizard-tales.blogspot.com some years back, they ran an article titled "That's no fish: Alligator spotted at Sembawang Park?" Get the details here. 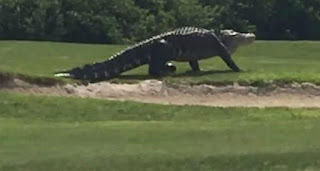 Also, on wptv.com, they might have a croc of a different sort and still have a gator with "Florida man snaps picture of raccoon riding a gator in Ocala National Forest" here. Finally, on sciencealert.com, they say "We asked a scientist about that 'impossibly large' alligator" and this is what they found out here.